The Coast Guard is proposing to discontinue Santa Barbara Island Light, Santa Catalina Island West End Light, Ship Rock Light, Catalina Harbor Light, Long Point Light, Santa Catalina Island East End Light and San Nicolas Island East End Light and replace them with marks on the chart designating the preferred latitude and longitude to be used for approach. The plan was announced as an item in the Coast Guard’s Local Notice to Mariners, with a request for boaters to comment on the plan. Many did — at least on social media, including the SailingAnarchy.com website. Boaters commented that they assume the government is attempting to save the cost of operating the lights, but Lt. Osburn said there’s more to it than that. Much of the time and money spent comes in repairing and maintaining the markers. “It costs a lot of money to get the folks out to the aid (to navigation),” Lt. Osburn said. There’s a lot more to it than funding the running of the aids. Marina del Rey resident and Catalina boater Whitall Stokes said he believes any money saved would be offset by an increase in boaters’ calls for assistance, if the navigation aids are removed. Some of these lights will be taken out due to safety concerns, Lt. Osburn said. Many of the structures stand in disrepair, some even leaning away from their original post, toward the ocean. For many lights, neglect is nothing new. Sharp Island Light has been on the verge of toppling for years, since bad winter weather pushed it around in 1976. “No one ever bothered to straighten it up: Shows you how much they care about maintaining the old lights. Now the damn thing is just an obstruction in the mouth of Choptank,” one Sailing Anarchy Forum member, “Daffyd,” said, commenting on a post on the Coast Guard’s proposal by Stokes. As a boater who sails to Catalina at least 10 times a year, often navigating along the back side of the island, Stokes said boaters such as himself would be particularly affected by the discontinuance of these important aids to navigation. Stokes recently wrote to Coast Guard Lt. Melissa A. Smith — who, in the item on the light discontinuance plan in the Local Notice for Mariners, had encouraged comments and questions from boaters up through Dec. 15. “As a pleasureboater, I have depended on (most of those lights) about a half-dozen times a year over the last five years,” Stokes wrote. “As mariners, I thought we all knew that relying on one means of navigation is foolish. “RDF and Loran are no longer functional, and that leaves piloting,” Stokes wrote. “Visual confirmation of one’s GPS position is important, and these lights are often the only means to do so. Stokes said he has yet to receive any sort of response from the Coast Guard to his comments. 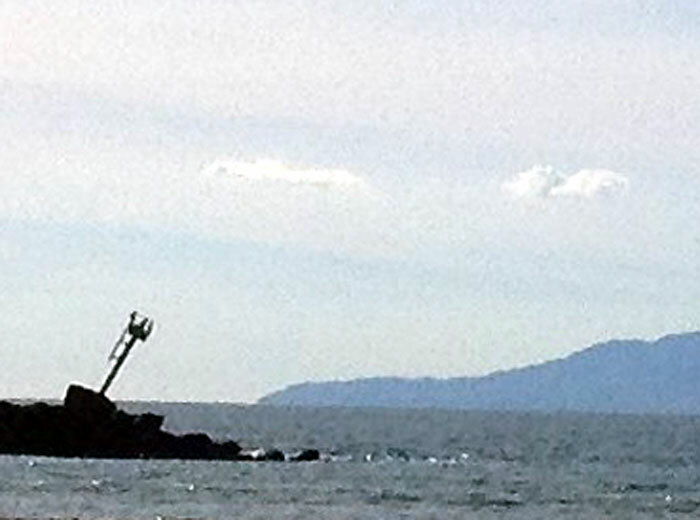 While the Coast Guard had initially proposed to change the lights themselves at Ship Rock Light, one of the more frequently utilized markers on the island, the repair was out of the Coast Guard’s budget, according to Lt. Smith. Therefore, the marker was added to the list of lights planned for discontinuance. However, earlier this year, the National Oceanic and Atmospheric Administration announced it would stop printing lithographic paper navigation charts in April 2014, meaning that boaters will have to obtain them from other sources. There are a lot of small dinghies on the Isthmus that don’t have chart plotters — many of which are operating at night, Anderson noted. The average boat smaller than 20 feet in length has no chart plotter, he said. “I feel it’s very important that we have those lights on Ship Rock, West End, Eagle Reef and around the buoys, primarily for the small boater — so that if he’s anchored overnight, he can quickly look up and see if he’s dragging (anchor),” said Randy Boelsems, a regular Catalina boater, who owns Quickline Marine Products and is the founder of the Catalina Conservancy Ball. While the Coast Guard has no plans to supplement these markers planned for removal, private parties would be allowed to obtain permits to maintain them as private aids to navigation, should they choose to, Lt. Osburn said. Comments should be addressed to Lt. Jennifer Osburn at jennifer.m.osburn@uscg.mil or submitted by phone at (310) 781-0619.